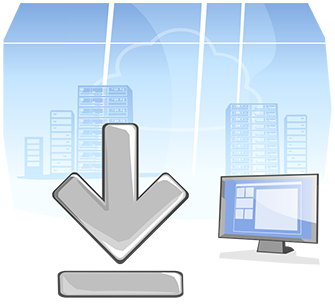 Print Conductor print management software is free for non-commercial use. Many business processes such as invoicing, record keeping, and shipping require timely printing of documents. It's essential for a business to handle print jobs effectively in order to save resources: paper, ink & toner, time and money. That’s why many companies are using software solutions which can make their print management easier, better controlled and cost effective. Print management software is software designed to coordinate and optimize tasks and processes related to printing. A good print manager should allow you automate printing of files, facilitate print jobs, track printer and/or paper usage, take full control of printing processes and, ideally, cut overall costs. Print Conductor bulk printing software works well on 32-bit and 64-bit versions of Microsoft Windows XP, Windows Vista, Windows 7, Windows 8 and Windows 10. It supports Microsoft Windows Server 2003, 2008, 2012, 2016 and later versions. If you have a Windows computer produced in the latest decade, you certainly have enough computing power for this free printing software. FolderMill is a server application that provides an easy way to automate routine document processing tasks and establish a document workflow in an enterprise environment. Universal Document Converter is a virtual printer. You can use it with Print Conductor to batch print documents as PDF, TIFF, JPEG, PNG, GIF, PCX, DCX, and BMP files.